If President Vladimir Putin is intending to demonstrate he has already lost control of the newly appointed government and their oligarch business partners, then in the proposal of Suleiman Kerimov to expand Alrosa’s asset base by buying BHP’s diamond mines in Canada, and privatize 51% of the company in a public share offering, he has his chance. And who better to address this problem (opportunity) than the First Deputy Prime Minister, Igor Shuvalov? Kerimov made his proposal on May 14 in Vedomosti, and followed with an unprecedented acknowledgement by his spokesman in Bloomberg. In the Vedomosti report, Alrosa sources were reported to have said that last year Kerimov had asked Alexei Kudrin, then finance minister and chairman of Alrosa’s supervisory board, to endorse a deal in which a 51% state shareholding in Alrosa would be put up for sale. Kerimov reportedly told Kudrin also that the international marketability and value of the Alrosa shares should be supplemented by adding diamond mines in Canada which BHP is offering for sale at an initially reported price of about $750 million. Naturally, Kerimov added, his friends at VTB, one of Russia’s state banks, would be happy to lend whatever BHP wanted for the deal. On current estimates of Alrosa, without the Canadian mines, 51% should cost Kerimov and his bankers about $7 billion. By October, doing what Kerimov does best, the BHP deal value had been jacked up in the press reports to between $1 billion and $1.5 billion. But the scheme that was leaked to Kommersant infuriated the Sakha republic (Yakutia) government, which controls 40% of the Alrosa shareholding and depends on the mines for the republic’s budget. The leak suggested that federal government officials were in cahoots to strip value for themselves out of the diamond mines, and leave as little behind for the region as possible. The Yakuts have been justifiably suspicious of such schemes since Mikhail Gorbachev borrowed a billion dollars from De Beers in 1989, secured by the state diamond stockpile, and promised to invest the proceeds in the region. Among the many promises Gorbachev defaulted on, that’s the one the Yakuts remember because they didn’t see a kopeck. Alrosa’s chief executive Fyodor Andreyev claimed through his spokesman that the first he had heard of the Canadian scheme was in the newspaper report, and denied he was having anything to do with it. Kudrin has supervised the Russian diamond sector for many years, accumulating diamond industry expertise and more. He was in charge of the Alrosa board during the management of Sergei Vybornov, 2007-2009, when the two of them agreed to borrow and buy several billion dollars’ worth of assets in Africa and Russia for much the same purpose of fattening the company’s capital. By the time Vybornov was replaced by the current chief executive Andreyev, Alrosa’s indebtedness of almost $4 billion was a public embarrassment. Vybornov and Kudrin were none the poorer for that. 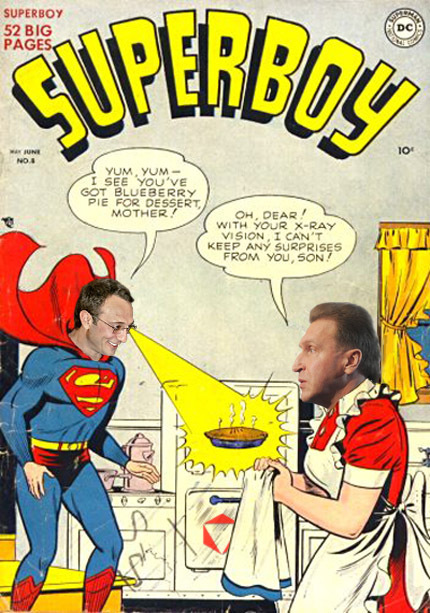 Shuvalov has acknowledged in the Russian press that he has chatted about the problem (opportunity) with Kudrin; exactly when isn’t clear, since Kudrin lost his job in a fumble for the prime ministership on September 24, 2011. Shuvalov is also reported in the Russian press as supporting the Kerimov scheme of selling off 51% of Alrosa in a single deal, though he hasn’t mentioned Kerimov by name, much less the details of the scheme. These are likely to have involved VTB lending Kerimov the cash to buy the federal government’s stake in the diamond mining company; warehousing the asset for revaluing; and then reselling it at a substantial profit for themselves in an initial public offering (IPO). In short, the classic goose-stuffing, liver-spicing scheme that Kerimov has pursued in the Uralkali-Silvinit potash consolidation; and Shuvalov in the scheme to merge and resell Sovcomflot and Novorossiysk Shipping Company. Those two schemes remain incomplete — no foie gras until and unless Putin says eat. Two weeks ago, Anton Averin, a spokesman for Kerimov’s Nafta Moskva holding in Moscow, told Bloomberg ‎that Kerimov was promoting his Alrosa scheme again. According to Averin, the sale of a 51% stake would make sense, and more money, because it would include a premium for control of the company. Selling smaller shareholdings, such as the 7% to 14% blocs which have been under discussion for months, would weaken the share price, he said, reduce the proceeds to the state budget, and – nice touch from Kerimov—benefit only the Alrosa management. Averin also revealed for the first time that Kerimov has already bought a 1% stake in Alrosa. Averin was asked yesterday to clarify what Kerimov is proposing for Alrosa. He said he remembers what he told Vedomosti and Bloomberg last month, but doesn’t recall saying anything about the BHP diamond assets in Canada. For the record, he said, Kerimov is interested in the purchase and sale of a control stake in Alrosa. He does not confirm interest in the BHP add-on, and declined to provide details of the new scheme. In April, he added, there had been misleading publications in “dark” online media from reported advisors to Kerimov: “these were attempts to manipulate the market,” Averin said. Alrosa is saying that it won’t comment on shareholders. Kudrin refuses to say anything at all.